How to use screen protector in Mobile Phone Like Professional with Images. Apply the screen protector to your smartphone with step by step guide videos. Now Do not worry about how to use screen protector in Smart Phone. How to use screen protector in Mobile Phone Like Professional with Images. I will tell you with step by step with GIF images, Now you can apply your screen-guard perfectly in Your Smart Phone. Here is the video of How to use screen protector in Mobile Phone Like Professional with Images. If you previously applied screen protector on your mobile then remove it, If you didn’t used it previously then no problem. Now Use the Cleaning Cloth for removing the maximum dust and grease in your device. Now apply the Dust Removal Sticker then remove all the remaining dust using Dust Removal Sticker. Make sure you covered whole screen of your phone. Note : You can use the stickers for multiple times to remove dust from your mobile screen. How to use screen protector in Smartphone Like Professional with Images. 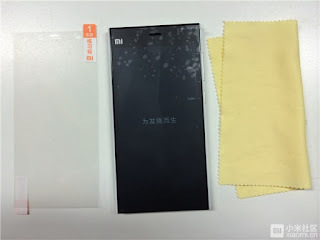 If you are trying for the first time Screen guard and don’t know how to use the Screen Protector then Practice using Practice Screen Protector. In your Screen Protector You will find two numbered strips which need to be removed. First remove the 1st strip and apply on the screen with matching all the holes on the device. Then remove the 2nd strip. Now you have an idea of how to apply screen protector in your Smart Phones. How to use screen protector in Smart Phone Like Professional with Images. Now we will try with real screen protector. 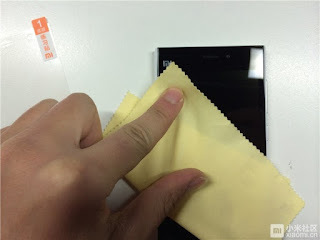 Before going to apply screen protector make sure there is no dust in screen, If there is something on the screen then remove it with Cleaning cloth. Now remove the 1st strip little bit (half way or less than that) and apply on the screen. Don’t touch the sticky part of screen-guard. If there are any bubbles on the screen protector then remove them first with a piece of cardboard or finger. Don’t use your nails for removing bubbles. Once the bubbles is removed, now use another half way of protector if you fully applied then remove the 1st strip. Now make sure all the air bubbles removed from screen, if removed then peel off the 2nd strip in screen protector. That is it! Voila! You have successfully applied screen protector on your Mobile Phone. How to use screen protector in Smart-phone Like Professional with Images. Now Use the removal tab to remove the screen protector like below image. Once Screen protector is removed do the Step 4 to Step 6. Be careful this time. Do it Patiently. Don’t hurry. If you still have any doubts, then comment it.